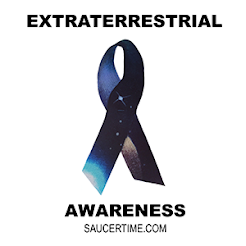 Many skeptics ask for scientific evidence of extraterrestrials and extraterrestrial space crafts. I wonder if they are not aware that they can easily find this evidence for themselves. I realized this when I began my own research on the subject matter. I researched the topic and based on what I discovered, I then formed my hypothesis. I never ruled anything out until there was strong evidence to do so. I used both sides of my brain, the right and the left. You have to have an imagination to discover different ways of doing something or thinking about something or even studying something. This helped me to come to my conclusion: yes, there is a scientific explanation for every paranormal event and sometimes the explanation is a no-brainer. I didn't need to see an alien skeleton to know that there are aliens, all I needed to see was one of their space crafts in action. That was enough evidence for me to began heavily researching on this extraordinary topic. If I had more scientific evidence to say extraterrestrial UFOs are definitely not a possibility, I would let you know, but I have found massive amounts of scientific evidence that says otherwise. I read books on quantum physics. Even though I had to read them four times over, I was finally able to loosely grasp the concept of the fascinating fact that there are multiple dimensions in space. Just that idea alone opens endless possibilities for paranormal events. We might not be able to figure out the "why" just yet, but at least we have the "know." We know something happens and in time we will figured out why. I can't encourage independent research more. You will find so much information that is hidden from you, you will want to research everything on your own, not just UFOs. And you should! There is a man who has put forward a great example of how to "scientifically" go about researching UFOs. His name is Stanton Friedman and he is a Nuclear Physicist. He's been studying UFOs for well over 50 years. Even though he has multiple Degrees in physics and I have one in illustration, through independent research, we still both have come to the same conclusion; "Some, so called, UFOs, are intelligently controlled extraterrestrial space craft." Watch the video below to learn more about Stanton Friedman and what he has discovered in his years of being a scientific ufologist.